Help us bring food and knowlege to the Standing Rock Protest camps in North and South Dakota! WeCopwatch is a group dedicated to fighting police abuse by creating civilian accountability structures for law enforcement. In particular, we educate and empower the public by informing people about filming the police as a community defense tool. 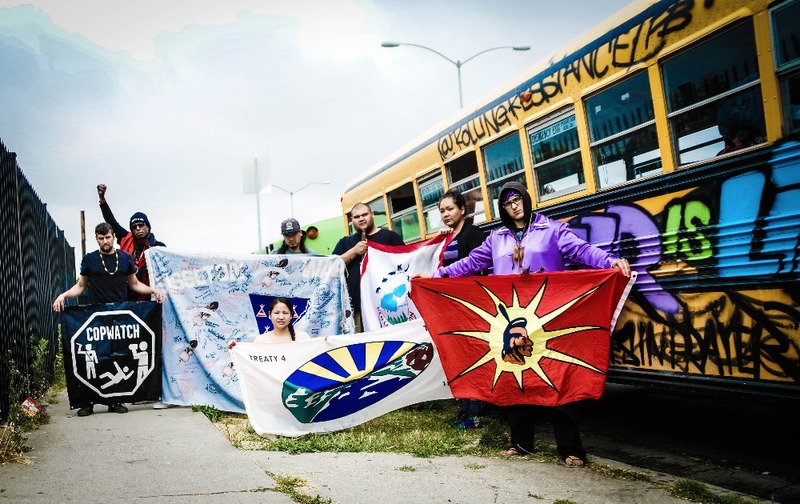 In the fall of 2016, several WeCopwatch members traveled to North Dakota to support the indigenous-led resistance against the Dakota Access Pipeline’s drilling along the Missouri River, right on the border of the Standing Rock Reservation. Native Water Protectors had been experiencing violence and repression from local and state authorities, as well as DAPL employees. Some camps had already been documenting these incidents, so the methods of WeCopwatch resonated with many. 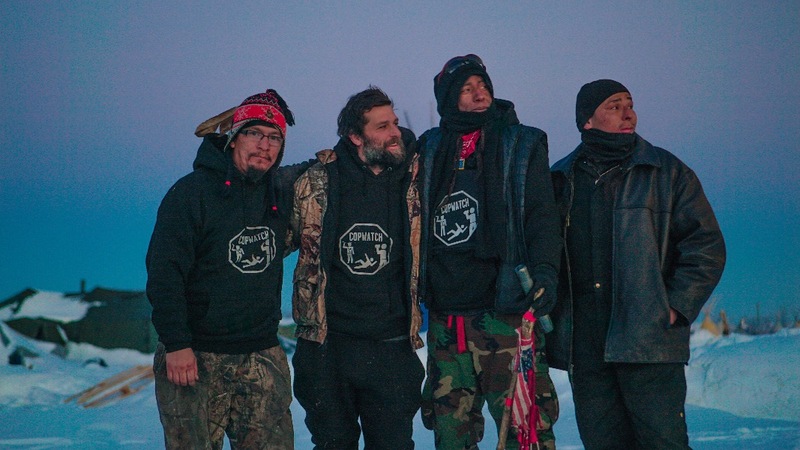 With great honor, we were invited to come to Standing Rock to help spread the message of WeCopwatch across the camps. 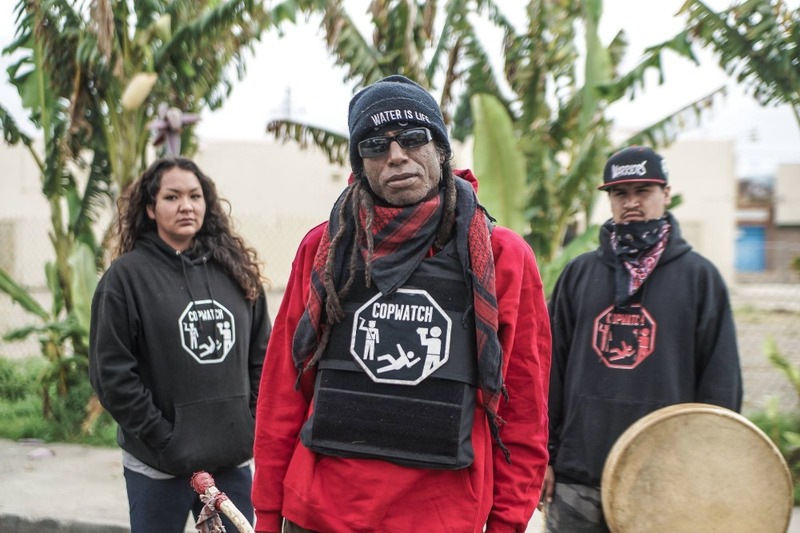 Richard Fisher is a tribal elder, warrior, and Water Protector, who took in our group at the Sisseton Wahpeton Oyate camp at Standing Rock in November 2016, and helped support the formation of a Native-led WeCopwatch group. We spent the great part of winter supporting the Water Protectors and conducting various trainings. 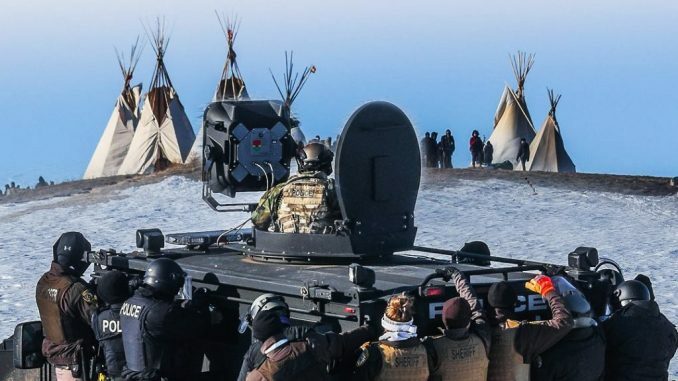 What was evident then, and continues to be today, is that police abuse is a real issue in Native communities, and people want to do something about it. 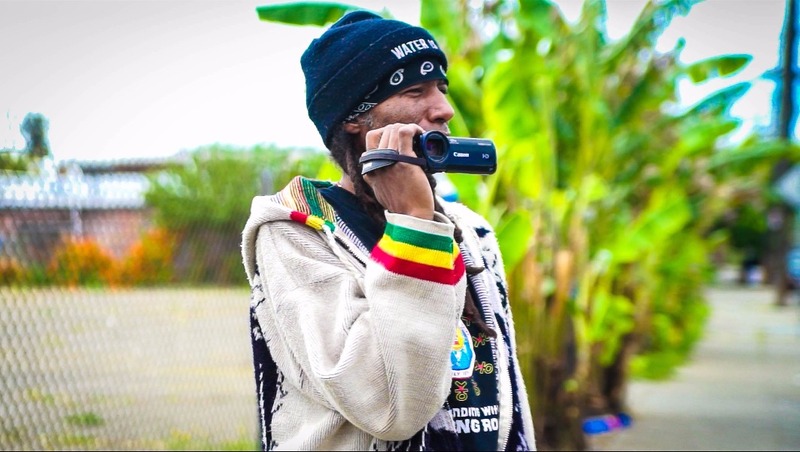 In January 2017, local, state and federal authorities, assisted by the National Guard, raided multiple camps at Standing Rock, displacing hundreds of people, including Richard and the remaining members of the newly formed WeCopwatch community. For the past few months, Richard has been traveling the country to spread the word about the ongoing struggles of Native communities against external threats, be they from pipeline operators or from law enforcement. Richard is also an experienced chef and was singlehandedly responsible for feeding an entire protest camp at Standing Rock. In addition to serving delicious food, the truck will serve as a pop-up venue for workshops, discussions, and know-your-rights trainings. Please support Richard and his cause by donating to this campaign! The Water Protectors haven't given up, so it's up to us to make sure they have the support they need. This is also a great way to support and help protect those who are taking an active stand for our water, and the future of our planet. Thank you all for the loving support. We are leaving Compton in route for the Dakotas. We almost have enough to make an offer an a great truck. We have our Copwatch Tipi, our Buffalo donated. As we are on the road. Please, please, share this fund across your networks. We're almost there! Thanks again so much for helping make our dream a reality! I would like to thank everyone for their support for keeping the fire alive from Standing Rock and for me to continue the fight for Mother Earth. Your support not only helps me but will be helping others across Native lands and beyond. Mni Wiconi, water is life. Thank you. Having the chance to live a life long dream by being a water protector in Standing Rock, I want to continue on. My calling in the beginning of being there was to utilize my skills as a cook to feed the people. I cooked for 25 day's straight for many nations, some who had never had buffalo or deer, elk, moose or any other wild game. And another life long dream of mine was always having my own BBQ business, something simple so me and my future wife can travel and feed the people who are dedicated in defeating the black snake. My future business partner would be my brother in-law from Arizona. After all the abuse us water protectors took by military and law enforcement, I dedicated my life as a water protector in anyway possible. 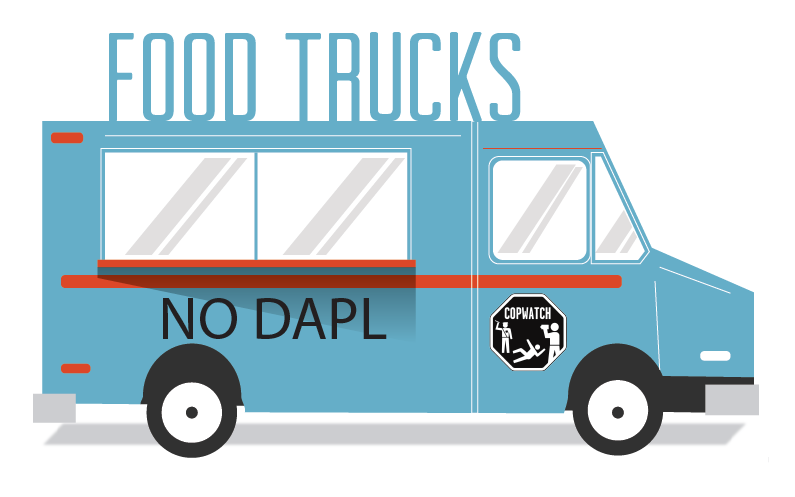 .A nice down payment for a MNI WICONI food truck would be awesome. Serving native foods and other. .Thank you....MNI WICONI...Water protector for life. ..